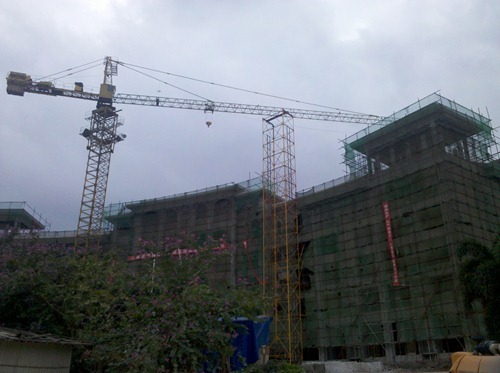 As China industrializes, it wants to urbanize its population. 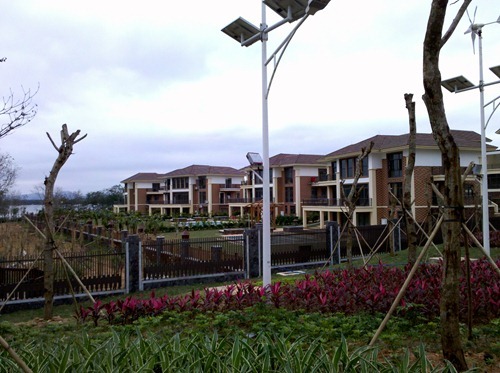 Since the 1980’s, it has policies which keep the property developers buoyant and hugely profitable. Just recently, China urban population has surpassed 50% and it is set to reach 70% in the next decade or 2. The demand for housing will no doubt continue, but is the property development going too fast, and it is creating a glut? Over the Chinese New Year, I went to one of the rather more bubbly spots in China (mainly for holiday, but also to watch some ludicrous pace of property development). 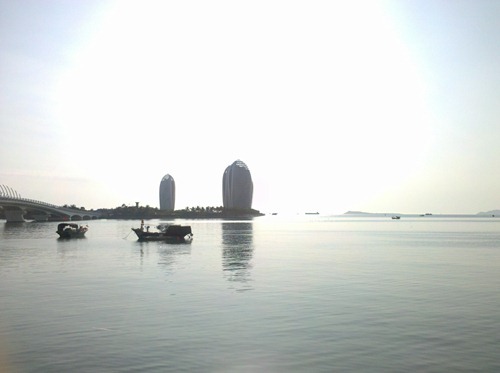 Hainan province, a south-most province of China, known probably for its hot weather (among others that I know and don’t know), is dubbed as the Hawaii of China. 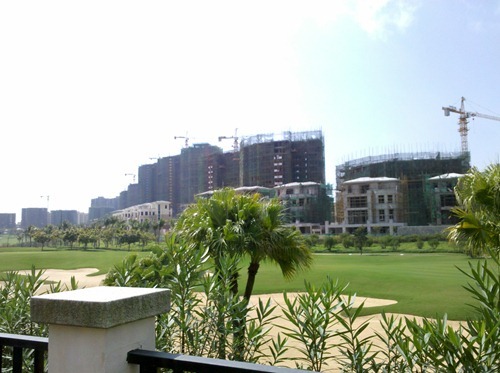 And as the matter of fact, this is not the first property bubble for Hainan (as explained previously). 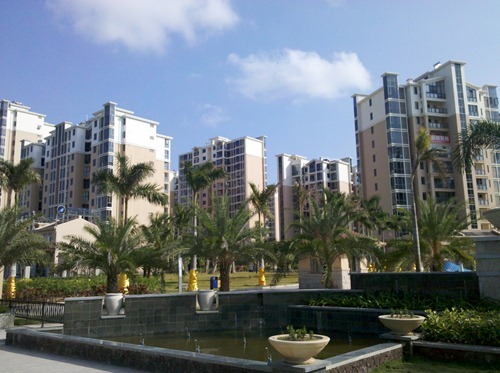 Most of these new properties are built and sold around the theme that a warm weather makes Hainan a popular location for northerners to have their winter holiday, as they hate the cold weather in the north but can’t stand the hot weather of Hainan’s summer. Local people called these northerners “seasonal birds” as they only appears in winter months. 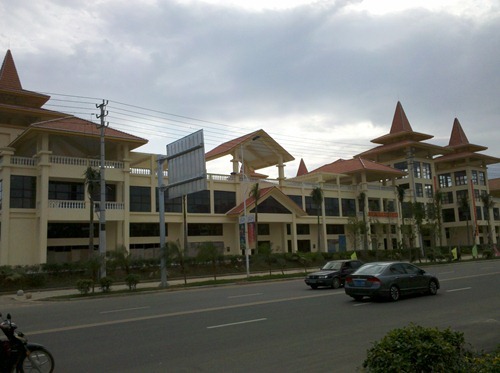 Besides residential properties for sales, investments in hotels are also enormous, particularly in the popular places for tourists and some areas designated for resort development, mostly along the coastlines and beaches which were previously almost uninhabited. 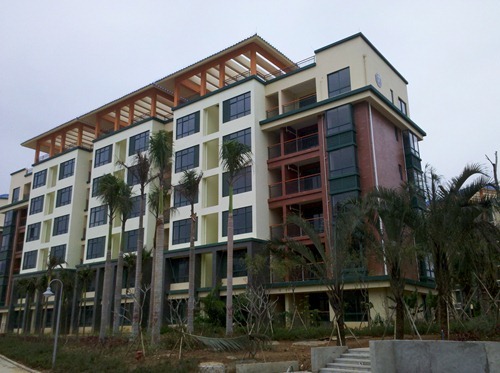 With the help of friends who live in one of the small towns in Hainan, I was able to look at these properties in a way that no tours can offer, as we sneaked into construction sites, sales office, and unoccupied houses. To start with a bit of a joke, we came across with a development with a huge banner welcoming homeowners to their homes. Walking inside, this is what could be seen. Right, it is absolutely empty. 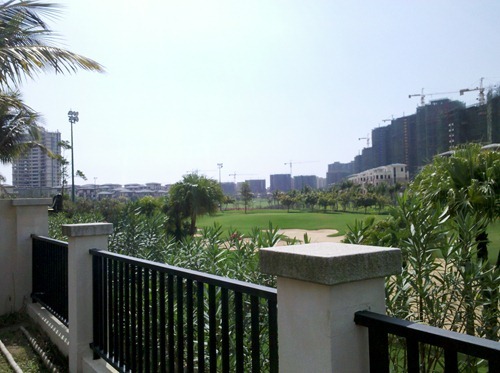 As said, along the coastline of the Hainan Island, many of the beaches and the neighbouring lands have been earmarked for tourists resort/”seasonal birds” property developments. 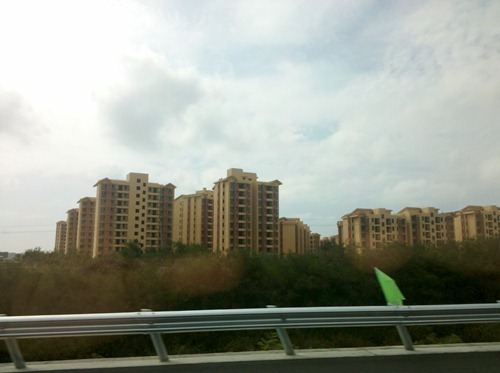 Along the highway that goes around the Hainan Island (particularly in the east side of the island), you can probably find major property developments at or close to every exit of the highway. 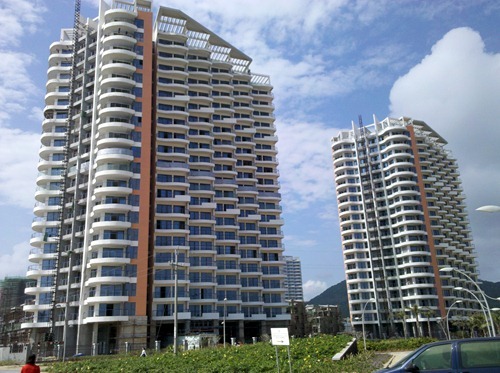 Clear Water Bay developed by Agile property (3383.HK) is just among many of them. Shenzhou Peninsula is another ludicrously ambitious development. 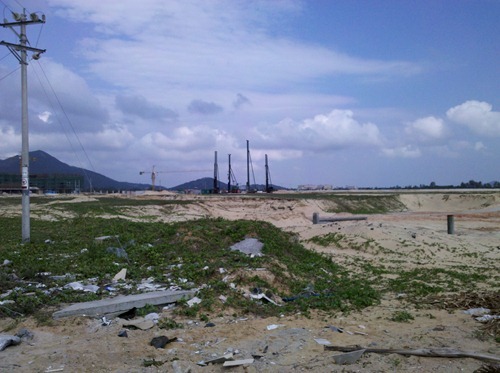 Close to a small city of Wanning, the whole previously uninhabited peninsula is now earmarked for yet another tourists resort/”seasonal birds” property development. 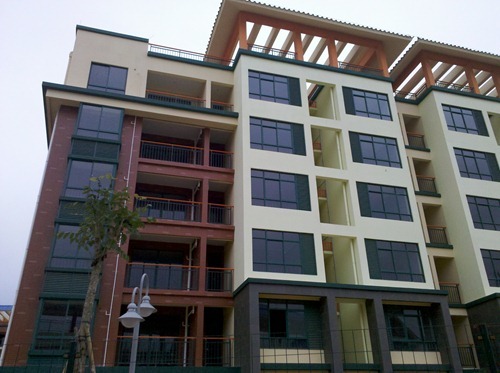 Apparently being divided among more than one developers (including Citic Pacific), this 18 sq. km. 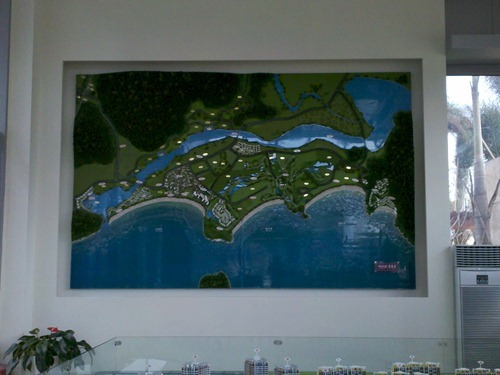 piece of land will have hotels, residential and commercial properties, golf course, etc. The whole area was circled in red, while the box represents what I could actually see standing the spot represented by the cross. If you haven’t got enough of these empty properties and/or pointless stuff, here are more (truth be told, there are too many unoccupied new properties, so many that one can’t always be sure on whether they are really 100% completed, or if they are completed, whether they are completely sold, or if they are completely sold, where the owners are). Yes, as if you haven’t got enough properties around a small town, developers are still building more. Local people said, however, that no local people would ever buy them. Those are for northerners. Asking local people on their views on when all these properties will be occupied, their answer is “never”. 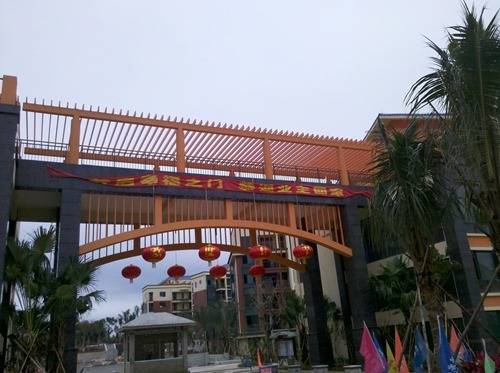 While Ordos, Zhengzhou new district and others have been popularised in Western media as the “ghost cities” of China, a manifestation of the Chinese property bubbles, empty properties are just too easily found in China, just probably not at that kind of scale as one could see in those now-famous ghost towns.